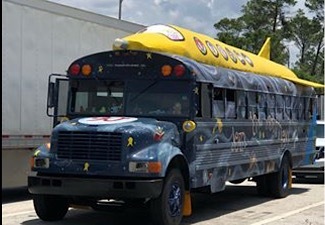 The Moonshot Reading Rocket has embarked on its 2018 national road tour to support the Campaign for Grade Level Reading and our fellow Pacesetter communities! The Rocket will be spreading the Moonshot Moment message and “collecting stories” for the national project: Voices: A Community Tapestry of Stories. The Rocket’s 2018 journey will begin at the Campaign for Grade Level Reading national conference in Philadelphia, during the week of July 23, 2018. We’ll then stop in Pacesetter communities to host our “Voices: A Community Tapestry of Stories” event and to collect stories for a documentary/podcast series that we are creating to further the work being done to solve the nation’s literacy crisis. Follow our progress on our Facebook and Twitter pages - @MoonshotMoment!